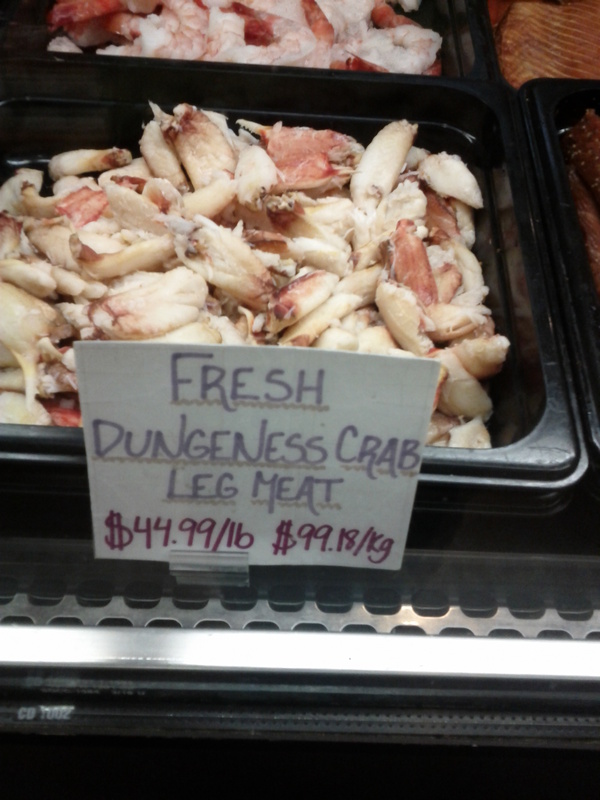 Despite the abundance in Haida Gwaii, it seems dungeness crab is scarce enough to command a mighty price on Granville Island. wowza. This entry was posted in Ramble and tagged Crab. Bookmark the permalink.